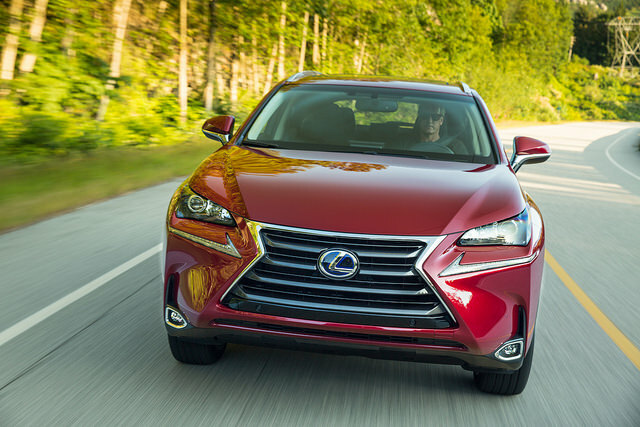 The Lexus NX300h is one of the most fuel efficient SUVs sold today. The luxury-styled hybrid SUV is powered by a 2.5 liter inline four-cylinder engine combined with an electric motor to see a combined 29 MPG, 34 MPG (highway), and 23 MPG (city) gas mileage overall rating. Unlike some other hybrids on the market, the auto can go from zero to 60 MPH in just 8.3 seconds, and the auto is rated as an exceptionally smooth and quiet drive compared to equivalent autos of the same class. The vehicle comes stock with front-wheel drive, and the drivetrain power rating is 154 horsepower and 152 lb-ft of torque. The only transmission option sold with the vehicle is a CVT with manual shifting mode, and the maximum speed of the SUV is 117 MPH.